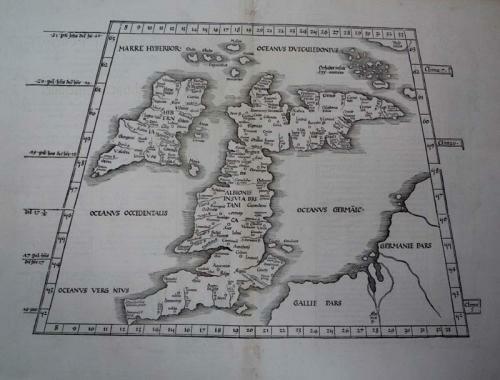 A very early map of Ptolemaic Britain based on Ptolemy and attributed to Lorenz Fries, printed by Gruninger. The verso has text contained in an elaborate Renaissance woodcut panel that may have been designed by Albretch Durer. This edition has the additional title 'Principium Europae' on the verso.